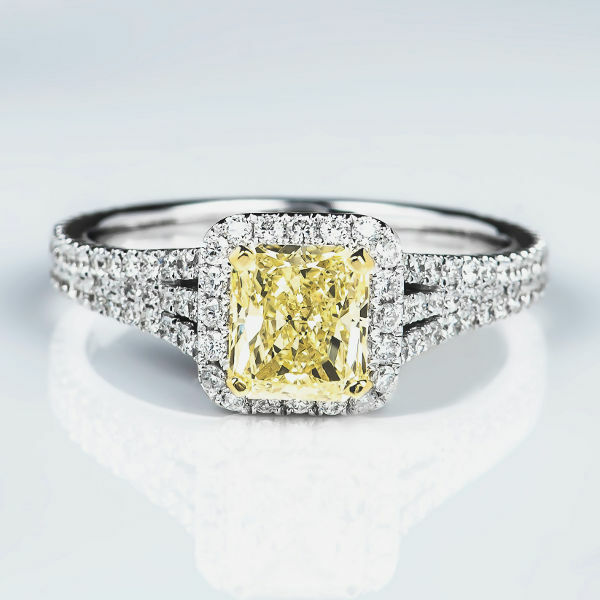 Beautiful and classic radiant cut yellow diamond ring with a 1.05 carat light yellow diamond as the center piece. The astounding setting features 126 melee H color diamonds weighing 0.66 carat. The total diamond weight is 1.71 carats.